Buying new furniture is an easy process, right? You’ll visit a store, see something that you like and get it ordered all in a good afternoons work. This may well be the case and if so then you’ve either been incredibly lucky or more than likely you haven’t chosen the furniture which enables you to have the optimum level of comfort. And shopping around for a riser recliner can be even more difficult as the chair that you are looking for can be almost entirely dependent on your needs. When looking for a riser it’s difficult to know just where to start. 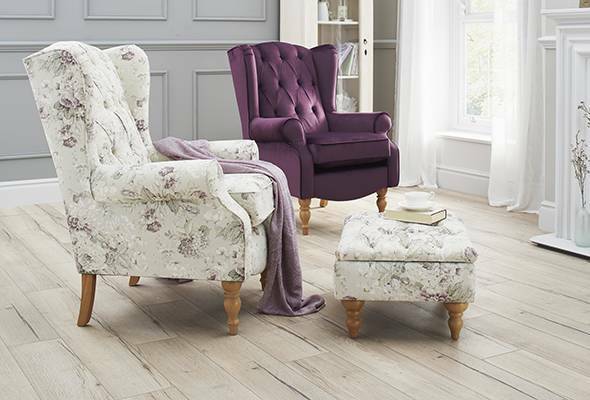 Do you go for a wooden arm rest or an upholstered one? A waterfall back rest or a standard? Padded wings or non-padded wings? 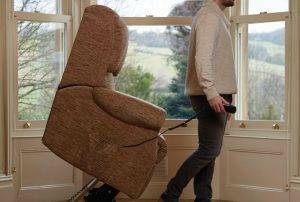 This is where HSL, your chair specialists can help you out as we have devised this all-encompassing beginners guide to buying a riser recliner armchair. 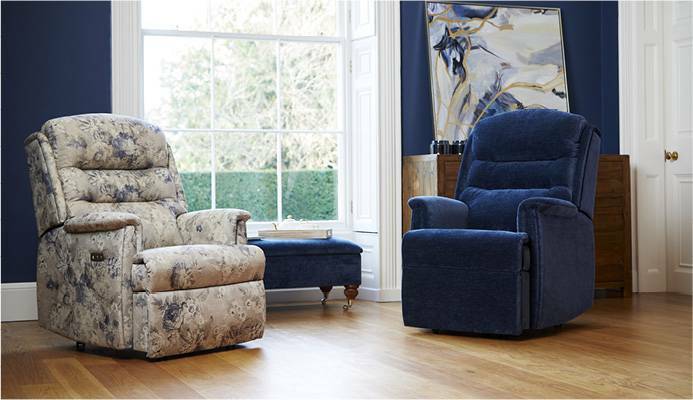 You’re able to buy a riser recliner from most specialist chair outlets either by visiting a store, purchasing online, by the phone or using mail order. Whilst all of these platforms are useful, it’s important to gather as much information on your potential purchase as possible. The trick is not to rush into any decision or simply go for the cheapest chair on offer as it may not be suitable for your needs. Every chair is different and addresses a particular need better than others; and quality of craftsmanship can mean the difference between a chair being comfortable not only today but for months and years to come. So often we see people that are suffering because their chair is no longer supporting them as it should. 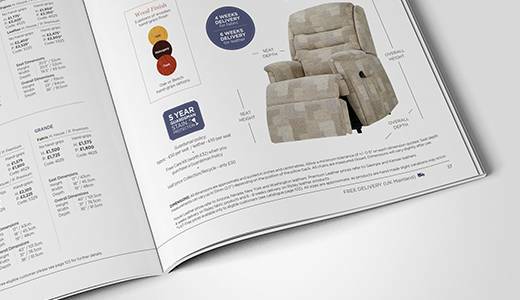 Whist it might be tempting to order your riser recliner from a magazine with beautiful product shots, we would always recommend that you try your chair before you buy. Then, once you have prior background knowledge and the expert expertise of the in-store staff you can decide upon your perfect chair. When first sitting in any kind of new chair, there will inevitably be some feeling of comfort but what you want to know is if this feeling can be a lasting one. And one way of determining whether or not this is possible is having a chair size that is fitted for you. It seems quite simple really, if you had too small or too large a pair of shoes then it would be uncomfortable. Well the same applies to buying a riser recliner; it should be just the right size. This is why you will find that most riser recliners come in all different shapes and sizes to suit different individuals. When you visit a specialist chair store you should be either mentally or simply asked for your measurements so that the expert is able to determine which chair is appropriate for you. It could then take anywhere up to eight weeks for your chair to be handmade and delivered. 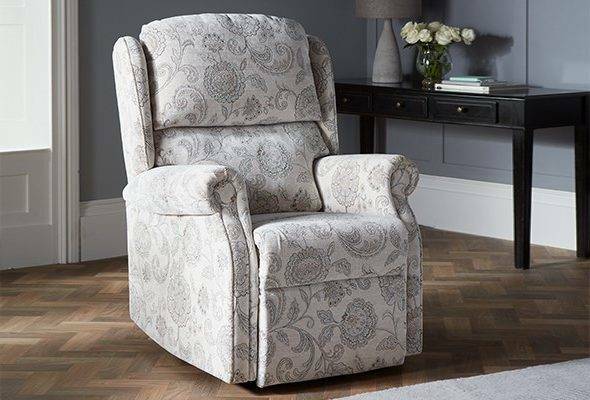 Firstly, it is worth considering getting financial support from your local authority if a riser recliner chair is necessity to help you live or to alleviate specific medical conditions. Different local bodies will inevitably have different rules about what they can pay for but it is certainly worth contacting your local council and booking a meeting to see if funding is available. Also, if you’re buying a riser recliner from HSL Chairs and you have a specific medical condition then you will automatically qualify for VAT exemption. Some of the ailments which would enable you to qualify for a VAT free riser recliner are: arthritis, high blood pressure, heart disease or circulatory problems. If you have a condition and you’re not sure if you qualify for a VAT free product then simply speak to a Comfort Specialists at one of our 58 nationwide stores for further information. This is a term that is often used to describe a riser recliner but what does it actually mean? Essentially this just refers to the amount of motors within the chair and in turn the functions that are available to them. 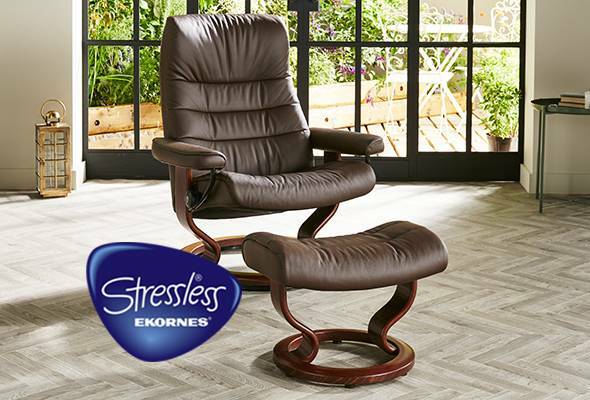 A dual motor chair for example gives you complete independent control of both the back of the chair and the footrest. Therefore you are able to have your chair having the footrest reclined whilst keeping the back in an upright position and vice versa. A single motor on the other hand will simply recline to a comfortable position and lift to a near standing position all in one function. Riser Recliner chairs are perfect for the odd snooze or afternoon nap but by the same measure, they shouldn’t be used as a replacement for a bed. 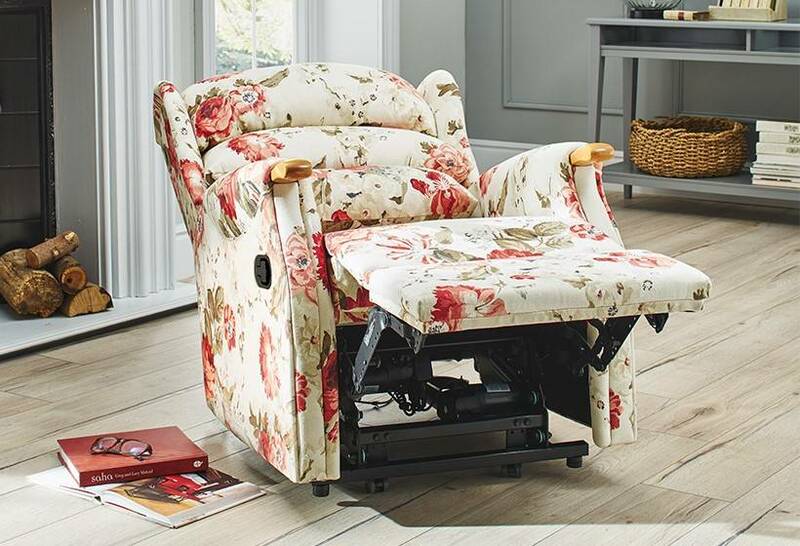 If you are considering purchasing a riser recliner for this purpose then it would be worth checking out a selection of electrically adjustable beds, commonly referred to as electric beds. 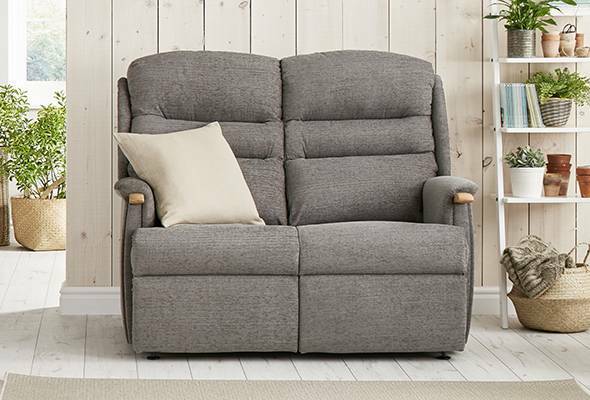 However, if you are looking to lie flat in the day and have maximum comfort whilst you have short sleep then a riser recliner is a great option! 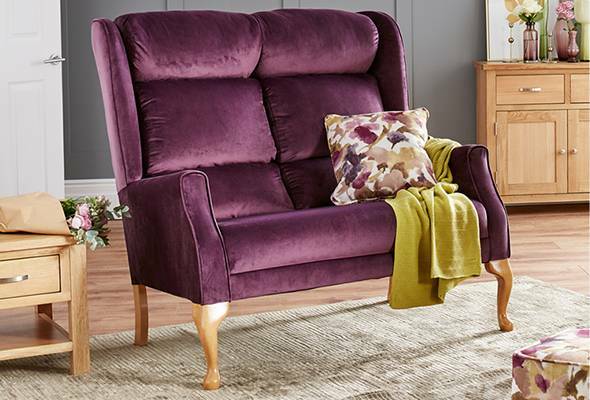 One of the most overlooked questions to consider when buying a riser recliner is: ‘Have I got enough space for my new chair?’ This is often such a discounted question because you may already have an existing chair that fits absolutely perfectly. However, as mentioned above not all chairs have the same dimensions! Although unlikely, it is essential to consider if the recliner chair is actually able to fit through the doors of your home in the first place. Therefore, it would be really useful to get the dimensions of the door that the chair will be coming through. Furthermore, it is also worth taking into account the space in which your new chair will be positioned in the room. For example, a standard riser recliner will need space both behind and in front of the chair. However, HSL have specific riser recliners with wall hugger action. This will allow for the chair to be placed closer to the wall. For some people, they will be sat in their chair for many consecutive hours per day including reclining and sleeping in the chair. At HSL we offer cascading cushions and a firm seat so that sitting for long periods of time spreads the body weight and eliminates pressure points. 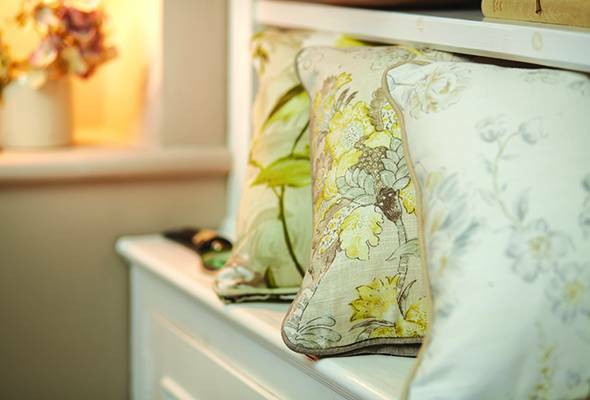 These style of cushions go a long way in preventing pressure sores. Therefore it is of paramount importance to investigate what sort of cushion you will be sitting on to avoid any unnecessary pressure from sitting. Also, if you are planning on buying any matching furniture with your riser recliner then ensure that the seat bases are firm and come with no-sag springs. The design of your new chair will ultimately depend on your comfort needs. 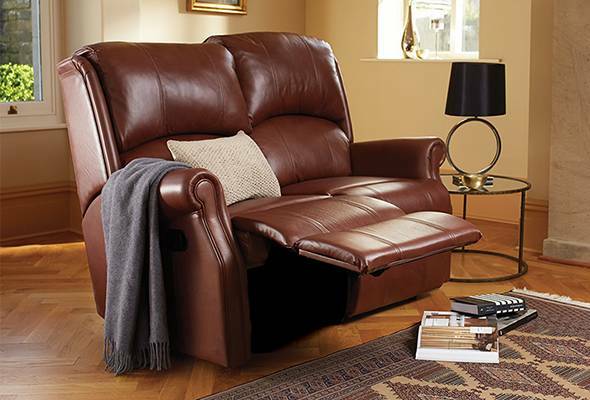 There are three distinctive types of backs to a riser recliner which are: Button, Waterfall and a Two Tier back. They will all perform different levels of comfort as shown below. 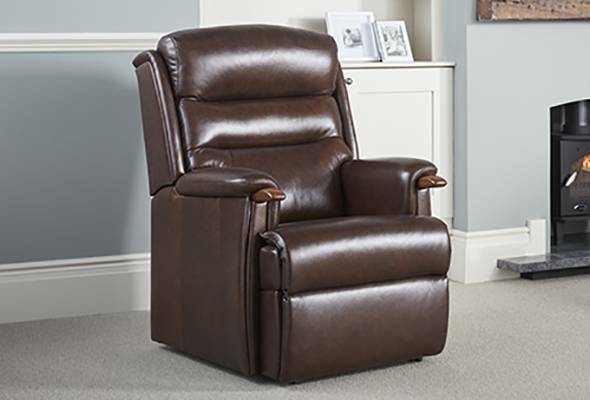 The Hampton dual motor riser recliner has a tapped button back ensuring a compact feel to handle pressure for continuous periods. 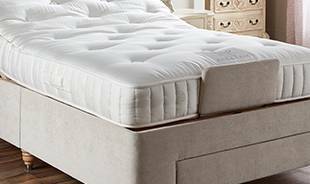 It also has a deep reversible back cushion ensuring optimum comfort. 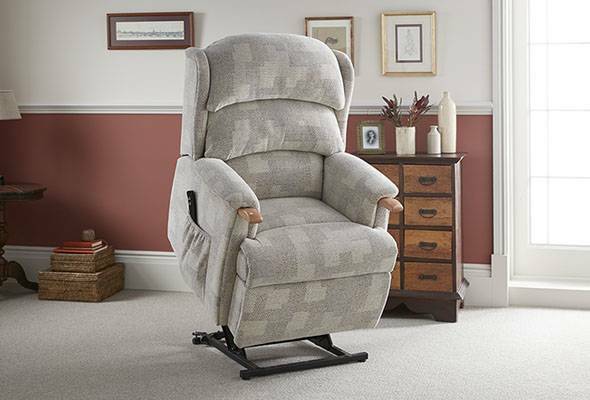 The Berwick Dual motor riser recliner comes with a luxurious two-tier fibre filled back and a soft-sit springing system in the seat for good measure. The padded wings and scroll arms are also an added bonus for this model. 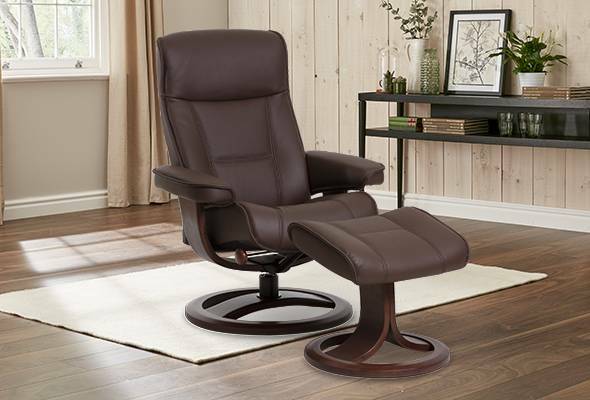 The Waltham Dual Motor riser recliner comes with a three tier cascading back, often referred to a waterfall back. This model also comes with the wall hugger action as previously mentioned. It’s interesting, the old fabric and leather debate. On one hand you have the easier maintenance of leather but on the other hand you have the total variety of colours and patterns that come with fabric. Essentially, the decision comes down to personal preference and nothing more. Leather will ultimately be easier to clean than fabric, making it a great choice around pets or perhaps the grandchildren. Also thanks to its unique qualities, leather naturally ages very well, getting softer over the years without looking worn out. Alternatively, as well as generally being more affordable, fabric tends to be warmer and cosier too. 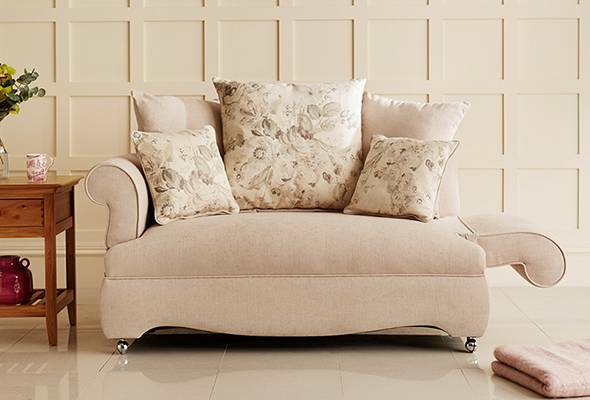 You’ll also have a far wider choice of fabrics with coloured and patterned finishes to suit your taste. And there are many innovative fabrics and products that can help protect fabrics from staining. Whichever style you chose, ensure that both are made with uncompromising quality. 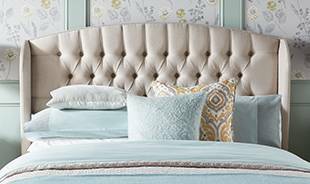 In fact, in recent years there has been an upward trend of mixing both leathers and fabrics to create a traditional and contemporary feel in the same room. We have discussed why it is so important to get the right type of chair when considering buying a riser recliner but to some people the aesthetics are just as important. Often those that buy a riser recliner will already have existing furniture that their friends, family and relatives like to sit on. Therefore, you will be pleased to know that if you chose HSL as your chair specialist there will be over 300 fabrics to choose from and over 12 leathers with absolute uncompromising quality. Problems with not having the correct riser recliner? 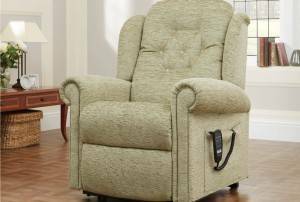 We have already highlighted the importance of having the correct fitting riser recliner. But what are the problems that are associated with an ill-fitted one? The seat should be the correct depth for an individual. By this we mean that your bottom should be shuffled to the back of the chair ensuring that the whole of your back is supported. Those trying to compensate by placing cushions behind their back will suffer in the long term as this is not a sufficient basis for support. Often you will find that pressure will build up at the knees and this is not good for circulation. Additionally, if the armrests are not in the correct position then this could cause your shoulders to ache and move your whole body alignment out of place. Similarly, if the seat is too tight it can be uncomfortable and restrictive to sit in. In contrast, if the seat is too wide there is nothing to stop you from moving sideways and this will feel less supportive. Finally, if your chair is too short and your legs aren’t at a right angle then this could cause your thighs to ache. And if your chair is too high and your feet don’t touch the floor, this could cause swelling of the feet and also added pressure to your back. Therefore, without research it is difficult to pick the perfect riser recliner by flicking through a catalogue or just scouring the internet. To pick the perfect riser recliner you will need to feel a complete state of comfort and that can only be achieved by addressing the above points. The best way to do this is to try out a number of styles and talk to people who are experts at finding the right fitting chair. You can do this either by visiting a store showroom or getting a home consultation – where a selection of chairs can be brought to your home so that you can try them out in the comfort of your own surroundings. So the final question is: why should you chose HSL as your chair specialist? The first reason is that we have been helping people just like you for nearly half a century now. Originally a mail order family business, we have grown beyond our West Yorkshire base to have a national retail footprint of over 55 stores. 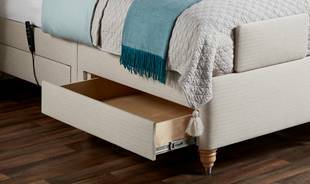 All of our furniture is handmade at our workshop in West Yorkshire and we still remain a family business all of these years on. But our history isn’t the only thing that defines HSL. Our products are all approved by our Independent Occupational Therapist, Julie Jennings. She ensures that our riser recliners meet the industries best standards and can be recommended to alleviate many of the ailments that our customers experience. 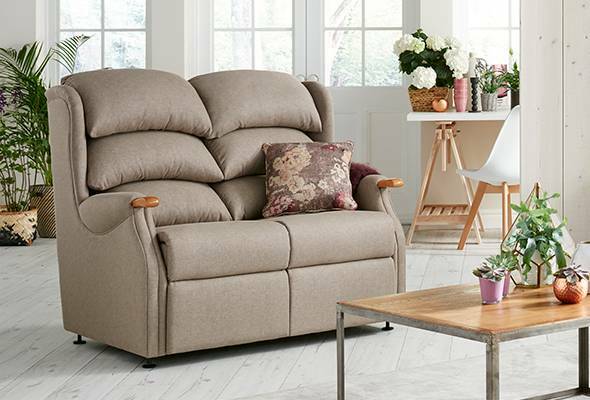 Our riser recliners also come in four sizes, starting from a Super Petite going up all the way to a grande, meaning that you can take comfort in the fact that your chair will be designed to fit you. 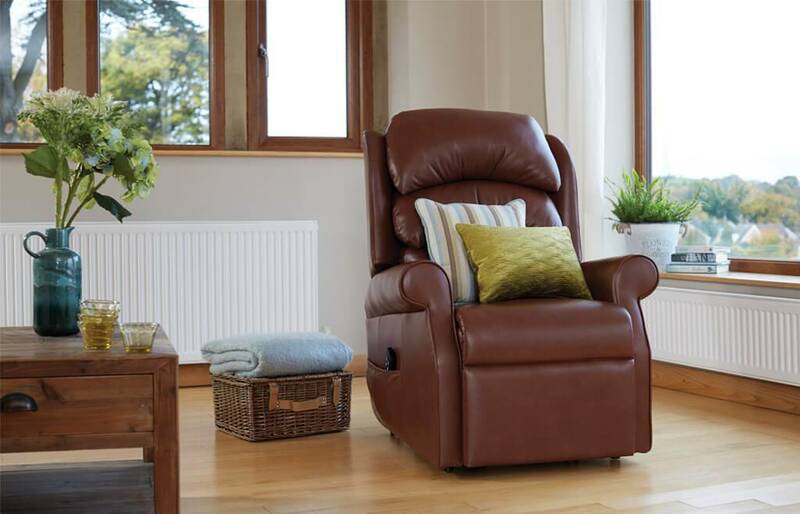 Finally, we are confident that you will enjoy your furniture for years to come and that’s why we give a five-year guarantee on all of our motor mechanism riser recliners. We appreciate that buying a riser recliner can be difficult. 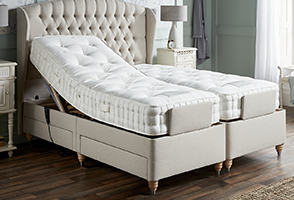 However, coming to one of our stores and speaking to a Comfort Specialist will have you relaxed in seconds. There is absolutely no pressure in store and that’s our promise to you. So why not pop down to your local HSL, we always have the kettle on.